Caroline and the crew worked swiftly to gather footage from Tad’s memory Caroline sifted through memories of the Christmas party where Tad got roaring drunk. She selected the memory of his calling her fat in front of her father. She rolled the dolly to that fateful day in mid-September when he was supposed to come pick her up to go on the boat ride and he never did. She got angrier and angrier as she watched him chatting with a woman on Facebook who lived in a neighboring city. He asked her out for coffee. Caroline cringed when the beautiful blonde showed up at Starbuck’s. She cried at his memory of the phone call that she made to him a week later where he told her that he thought they should “give things some time”. She realized she wasn’t surprised at all to learn the blonde had been in the room with him when he had taken the call. She closed her eyes when he carried the blonde into the bedroom saying “I’m free at last”. She rode the dolly far into the future in the hopes of finding a break up. “Love”, she heard Director say. “We’ve got to hurry we only have a day left”. The crew sat on an eardrum eating some very tasty sandwiches Cameraman had procured from Tad’s memory off a family trip to Paris. Director told editor where to make the cuts. He left them to work while he went about the business of procuring audience members for the show. He headed far back into the narrow reaches of Tad’s memory to find the people whose opinion would be of the most importance. Director realized this was Tad’s memory of his first steps. At first he thought Tad was walking toward his mother, but he quickly realize that he was walking toward the television set where Dan Rather was doing the news. He stared at the anchorman with great love and fascination. ‘He admires Dan Rather’, Director thought. This presented a unique problem. 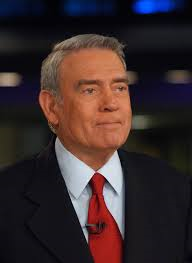 Tad’s childhood memory of Dan Rather was a completely one sided one. Mr. Rather was simply an image on screen. It would be very hard to cut him, and edit him into an angry audience member, especially in the limited time that they had. Still though, Tad was so enthralled by him that he felt the show wouldn’t be complete without him. Although he wasn’t sure if it was allowed director stepped onto the memory band and into the memory. Tad’s mother screamed and fainted. Tad began to cry. Director shook his head, walked over to the television set and knocked on it. “ I was wondering if you could come out here for a minute” , director said in an apologetic tone. “Well sir, I’m here on behalf of CBS. They want you to take a look at a new show”. Director heard Tad’s mother coming to behind him. “Oh very well, but this is very irregular” Rather said stepping out of the television. Director grabbed his hand and led him back to the pat that was just outside of the band. Tad’s mother fainted again. “Where are we”, Dan Rather asked. “We’re in the head of a writer, very advanced stuff”, Director said thinking fast.